Hi! I'm back after a short hiatus of study, and today I am celebrating "Meat Free Monday" by featuring my top 5 tried and tested Supermarket Vegetarian choices to cook and eat for Meat Free Monday. With the recent horse-meat scandal still dominating the headlines, there is now even more reason to consider going meat-free for at least one day of the week. The food ideas featured are in no particular order, as they are all great Meat-Free Monday Choices, and they are all tried and tested by our family. 1) Linda McCartney Vegetarian Burgers with Peppered Mushroom Melt. These burgers are my ultimate Meat-Free Monday choice. They are a perfect choice for Vegetarians and Carnivores alike. Meat-lover's will not know they are missing out with these burgers as they are so tender and juicy, and taste like a small piece of heaven! The peppered mushroom melt is a divine addition to these burgers. Our family loves them. They taste great with potato wedges and tomato ketchup! Sometimes Meat-Free Monday can be a bit of a rush - certainly in our house where we have after-school activities and so have to squeeze in cooking and eating tea before bed time. My kids love these Quorn Hot Dog's, which cook in around twelve minutes. Serve with Hot Dog Rolls, ketchup and Mustard and some crunchy pepper, cucumber and carrot sticks. These Cheese and Spring Onion Bakes are great for those who like a lighter meal. You can bulk up a meal with potato and veg, or serve the bakes on a bed of salad for a lighter meal. Another great choice which you can dress up or down depending on how hungry you are, and an option which cooks quickly. Plus I think these Butternut Squash and Goats Cheese tarts look so pretty on the plate! 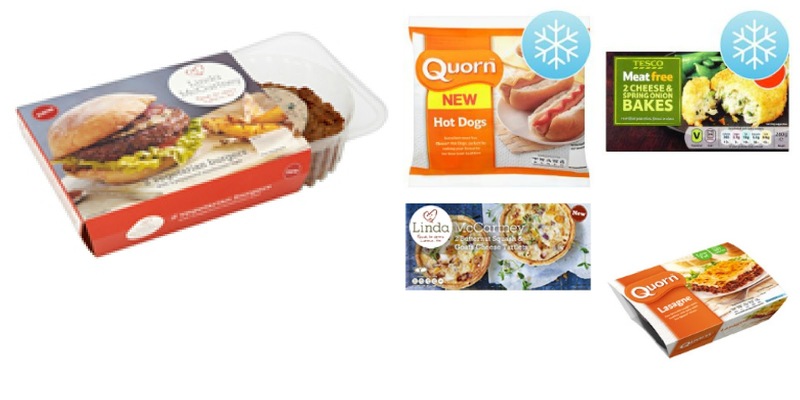 Perhaps not very family friendly, as this Lasagne is served in individual portions, but there is guaranteed to be no horsemeat in this pre-packaged food. Serve with garlic bread and a fresh salad for a great MFM meal! So those are my favourite Meat Free Monday ideas- what are yours?